Open and shut the gate. Empty the bench. Rinse, repeat. 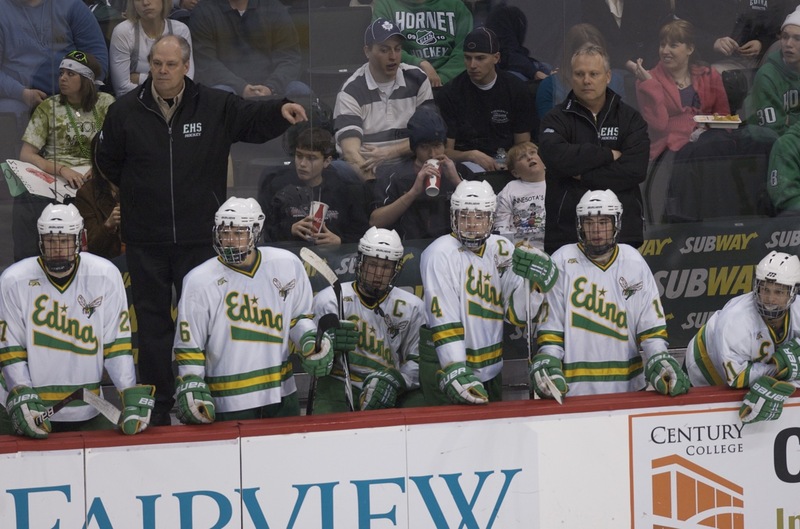 Sure, there’s more that goes into putting Edina’s state tournament game plan together. 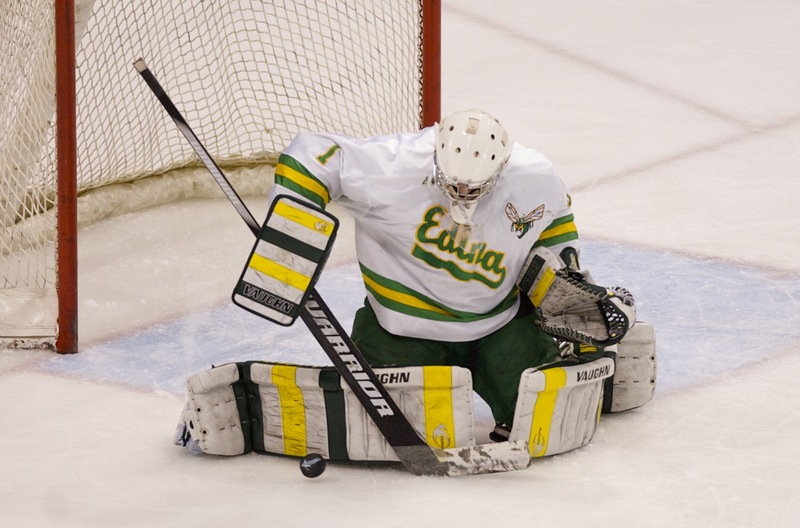 “We don’t get overly concerned with the matchups because we’re really confident that any one of our four lines can play well,” Edina coach Curt Giles said on Thursday, March 11, after all four of his lines scored in the Hornets’ 7-3 state Class AA quarterfinal rout of Roseau. “We’re confident they can score goals. Fun? Forgive the Rams if they disagree. 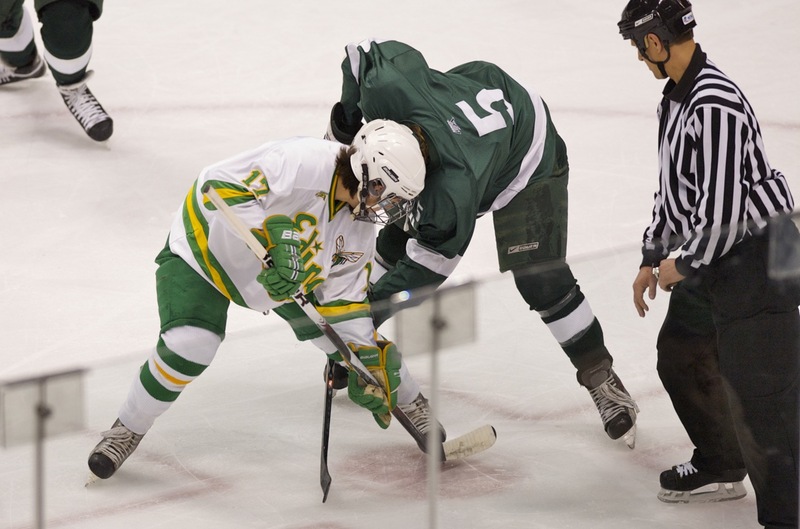 In a classic north vs. south, small school vs. big school, outstate vs. metro matchup featuring two of the state’s most storied programs (Roseau has won a record seven state titles; Edina has won six) the Hornets used a four-goal second-period outburst to erase a 2-1 deficit and take comfortable a 5-2 lead into the break between periods. 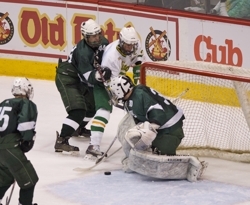 “They just kept coming at us, kept coming at us, kept coming at us,” Roseau coach Andy Lundbohm said. 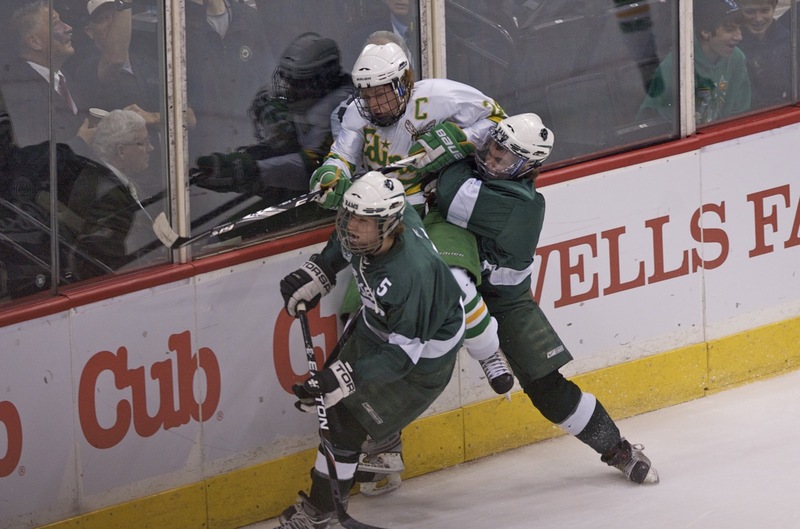 Edina’s forward combination of Steven Fogarty, Ryan Cutshall and Jake Sampson did most of the damage. They took turns setting each other up on a series of pretty goals, the biggest of which was scored by Sampson with 21 seconds left in the second period. As always, the Hornets were more gritty than pretty. Several of their goals were the result of doing nothing more than standing in front of the net and whacking at loose pucks. 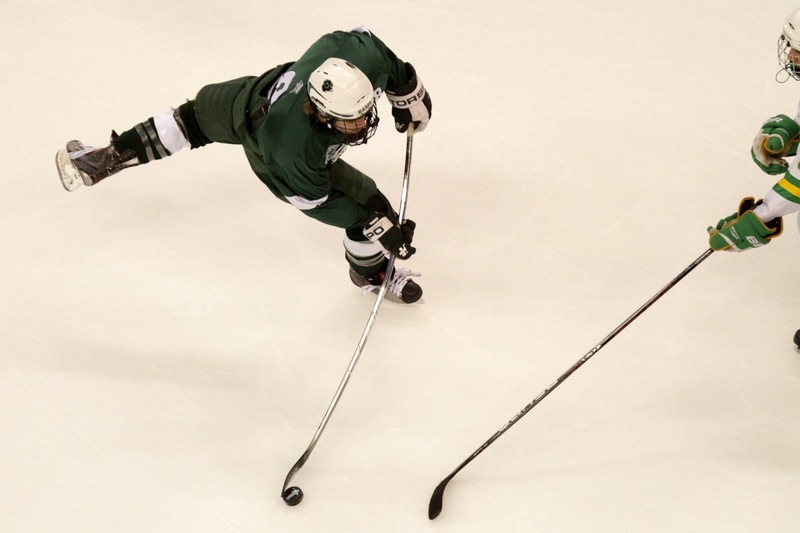 Of course, getting to the front of the net, and staying there, often requires the willingness to take a beating. Not a problem for these Hornets. 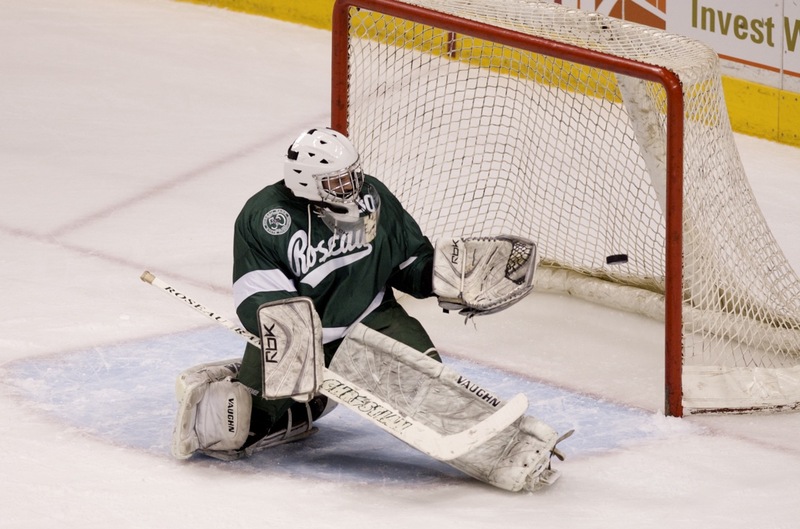 “They just had a lot of hard working guys,” said Roseau forward Adam Knochenmus, who himself scored scored a hard-working goal early in the second period to give the Rams their short-lived 2-1 lead. Then No. 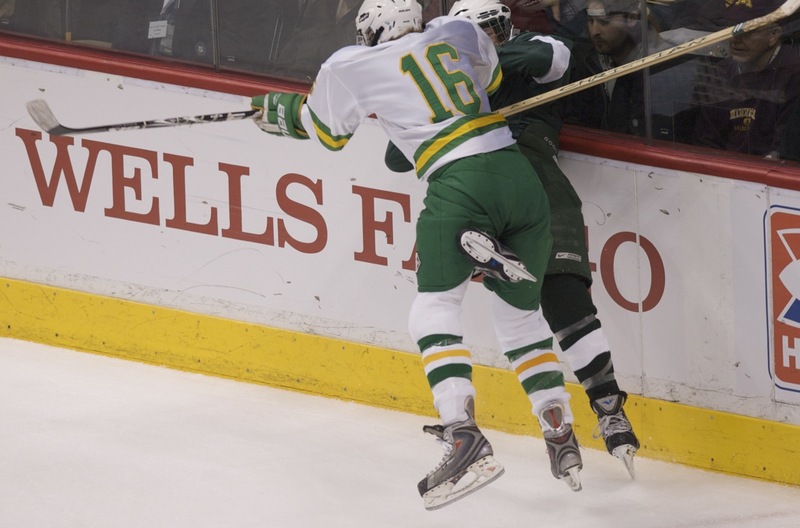 2-seeded Edina (21-6-2) went to work. Blake Chapman, Jon Cote, Brett Stolpestad and Sampson scored the second-period goals that all but finished off the Rams (22-6-1). Fun, indeed, for Giles and the Hornets, who were the tournament’s top seed last year before being upended by Moorhead in the quarterfinals. There are no such worries this season. If one line isn’t producing, it’s just a matter of a minute or so before another one hits the ice. 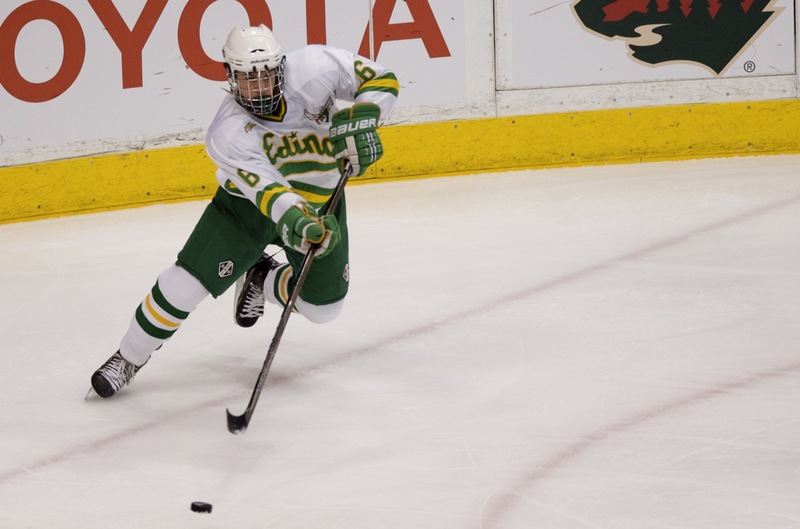 Junior forward was a catalyst on the high-flying Hornets’ line that also includes Steven Fogarty and Ryan Cutshall. Sampson scored a back-breaking goal with 21 seconds left in the second period to put the Hornets ahead 5-2 and added two assists. The Hornets’ senior continued his playoff scoring surge with a goal and two assists, showing the chemistry with linemates Fogarty and Sampson that has made that unit so dangerous. 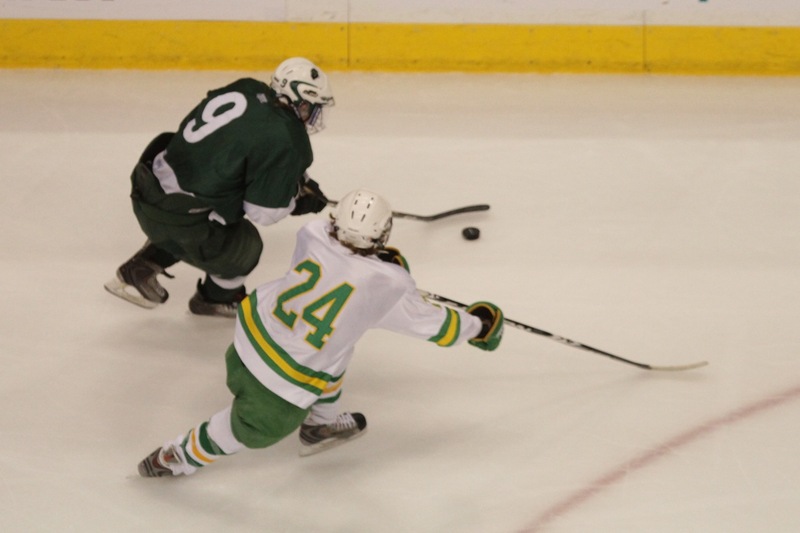 Speedy, gritty senior scored Roseau’s second goal, giving the Rams a short-lived 2-1 lead. He finished with a team-best four shots on goal, using his speed and tenacity to create several good scoring chances. 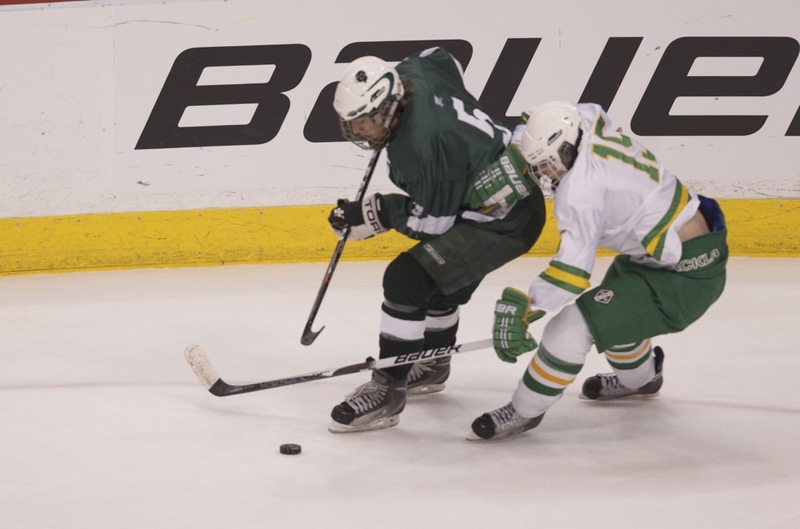 When Roseau's Adam Knochenmus banged home a loose puck in the crease early in the second period, Roseau led 2-1 and appeared poised, at the very least, to go toe-to-toe with favored Edina. And then the Hornets went to work. 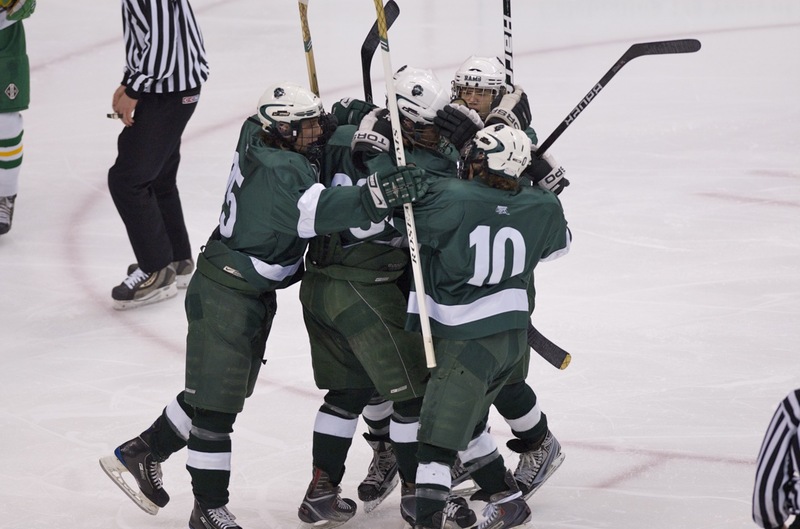 They scored four consecutive goals, including two in the final 3 minutes, 17 seconds of the period to take a 5-2 lead. 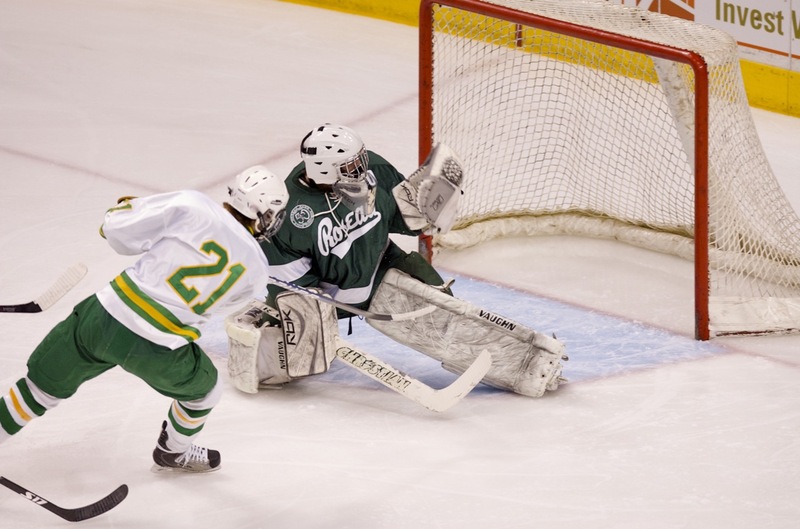 The Hornets' final goal, by Jake Sampson with 21 seconds left in the period, capped the flurry. 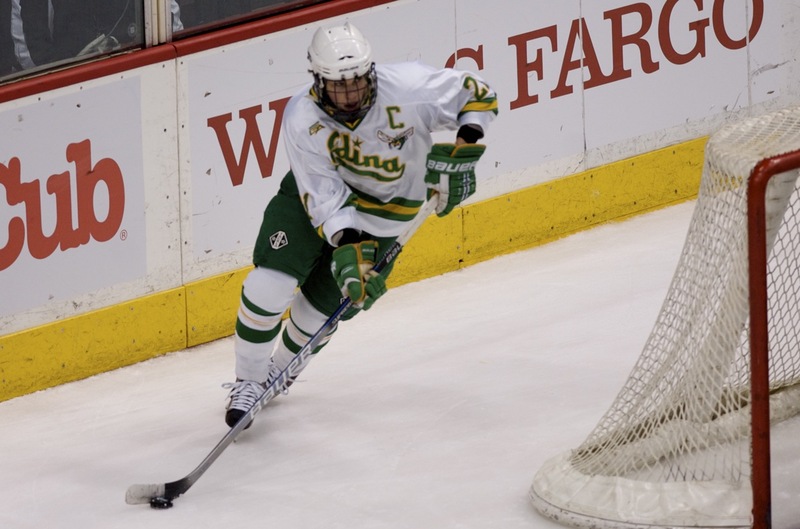 Balanced scoring and gritty play allowed Edina to not only reach the state tournament but earn the No. 2 seed. 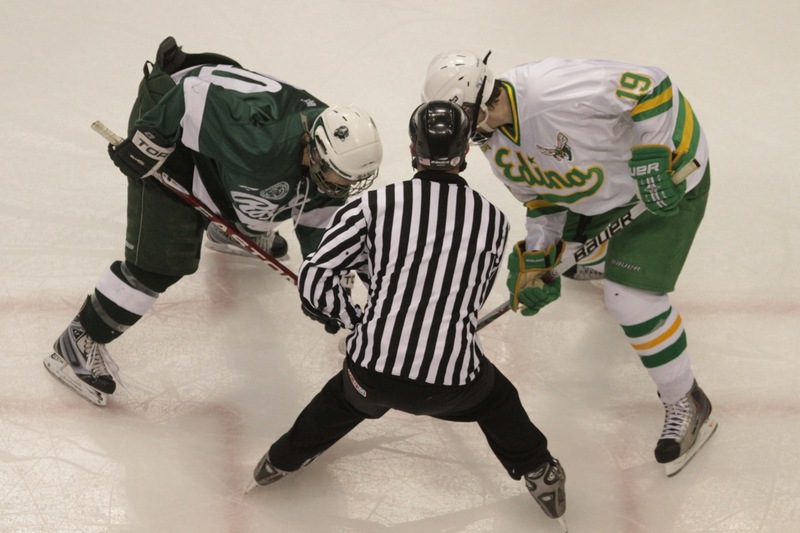 The same forumla allowed the Hornets to surge to a 5-2 lead over Roseau through two periods. 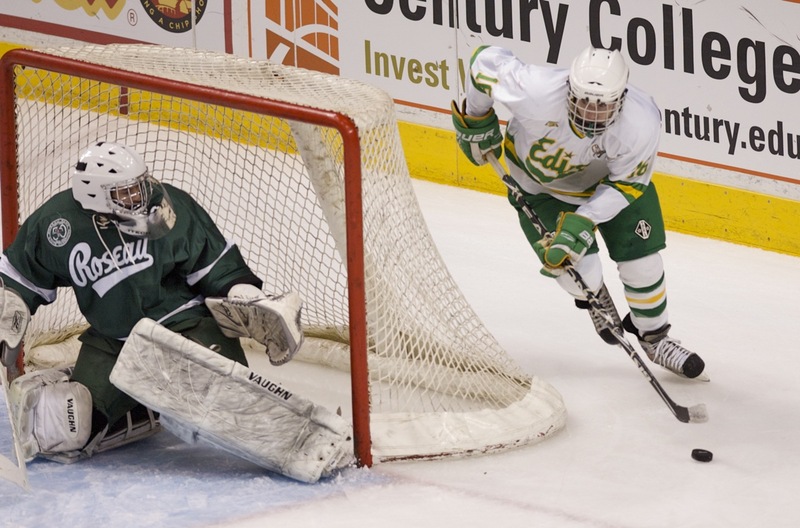 Other than Jake Sampson's goal on a nifty centering pass from the corner from Ryan Cutshall in the final minute of the second, all of the Hornets' goals were off rebounds or scrambles in front of the net. The scoring couldn't have been more balanced, with five players getting the Hornets' goals.